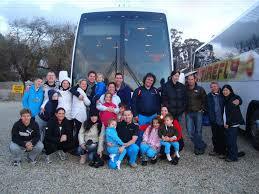 Getting to Mt Buller can be made stress free by booking a bus from Harlan tours Melbourne . Fantastic way to get your snow trip on the way. A great day skiing, snowboarding, tobogganing or just relaxing as we drive through the Victorian High Country in all its beauty. Features include a fully-designed and maintained terrain park, earth formed half pipe and a dedicated rail park. For the non-skier there is the toboggan park and the bars and cafes of the Alpine Village Resort. Good snow reliability is supported by extensive snow making ensuring plenty of snow throughout the season. We express bus direct to Mt Buller to ensure maximum time in the snow. You can also travel with Aussie Escapades.